SIKH Golden Temple | Send an eCard! 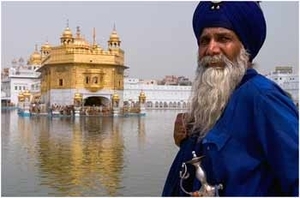 The Sikh Golden Temple in Amritsar, India is a place of great beauty and subline peacefulness. It has been a meditation retreat for wandering sages since deep antiquity.